Amazon Go, the retailer’s automated grocery store, opens Monday in Seattle. The store, located at 2131 7th Ave. near the corner of 7th and Blanchard, will be open from 7 a.m. to 9 p.m. Monday through Friday, and is intended to help speed up the shopping experience by ditching the traditional checkout. Just head to the Amazon Go store, open the corresponding app, and scan your phone on the way in. From there, you can stow away your phone and grab all the items you need. When you’re finished collecting your items, just walk out of the store. No more lines or registers. Amazon will then send a receipt and charge your Amazon account. First announced in December 2016, the store was expected to launch in early 2017. The opening was delayed, however, due to “technical issues,” The Wall Street Journal reported last year. Amazon Go is now apparently ready to accept customers; the store’s website teases a Jan. 22 open date for the 1,800-square-foot space. Inside, shoppers will find “ready-to-eat breakfast, lunch, dinner, and snack options made by our chefs and favorite local kitchens and bakeries.” Find staples like bread and milk, as well as artisan cheeses, locally made chocolates and Amazon Meal Kits. 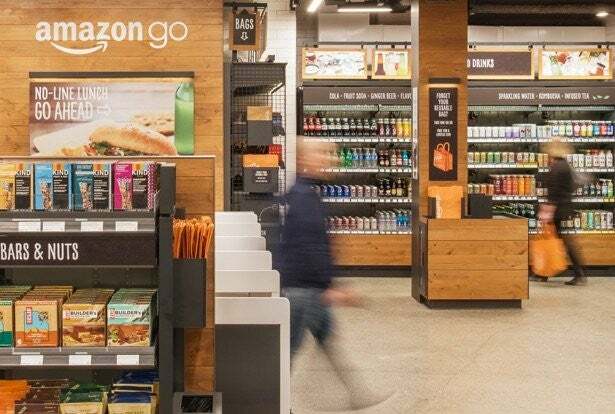 The Amazon Go app will be available “soon” in the Apple App Store, Google Play and Amazon Appstore, according to Amazon.